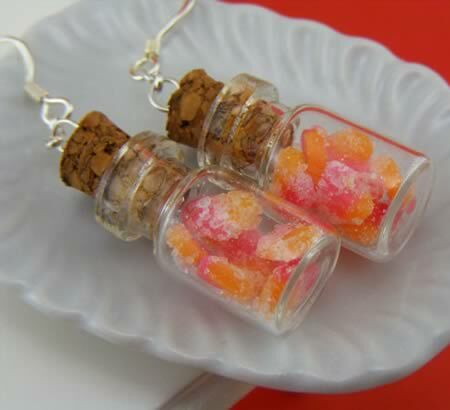 Ok, we just had to start this list with these earrings. 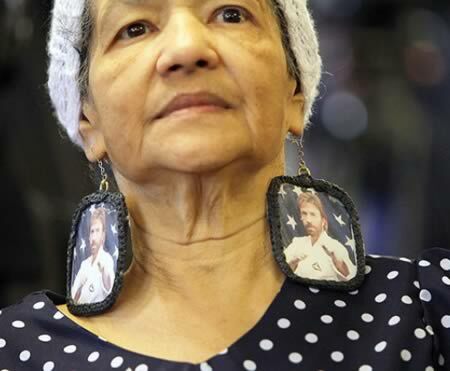 I know everybody loves Chuck Norris, but wearing him in your ears? A supporter of U.S. Senate Majority Leader Harry Reid (D-NV) was caught wearing Chuck Norris earrings during a campaign event at the Searchlight Nugget Casino in Searchlight, Nevada. 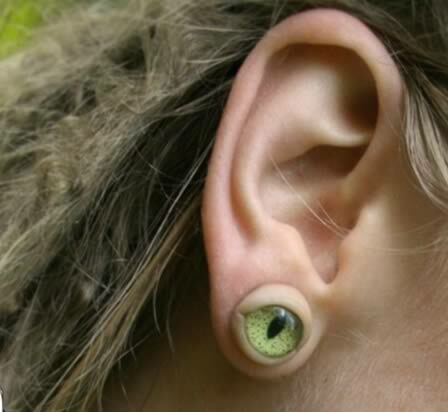 How about wearing an ear in your ears? 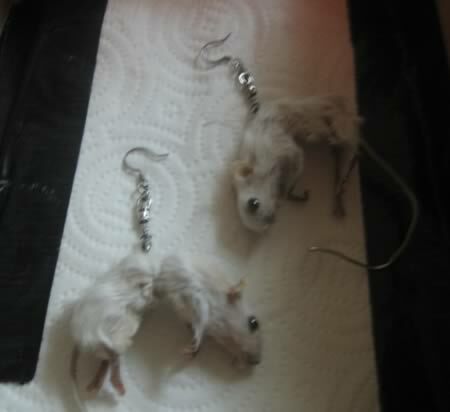 Dead mice. This is one creepy piece of jewelry I know I'll never use. With the proper hair arrangement, this cool design by Marco Rigovacca looks like someone has driven a spike through her ear. 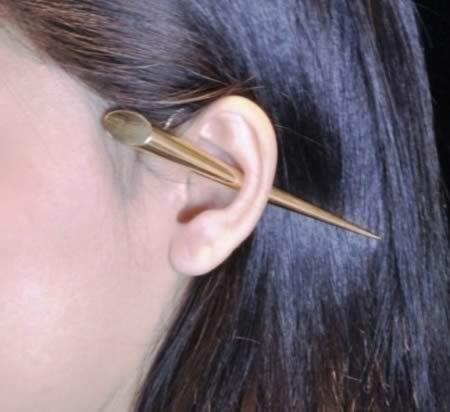 There's actually a thin gold loop that connects the two segments of the “Javelin” earring. Got Swine Flu? Feeling a little under-the-weather? 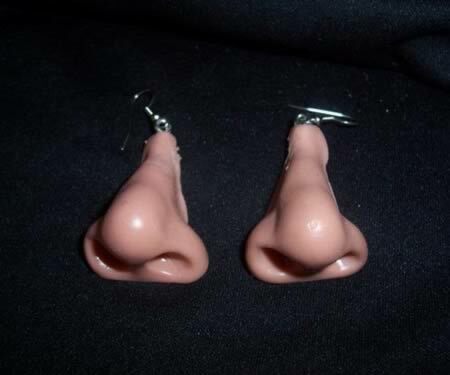 I have just the thing… These earrings may not CURE the common cold, but they're guaranteed to make you feel at least a teensy-tiny bit better! 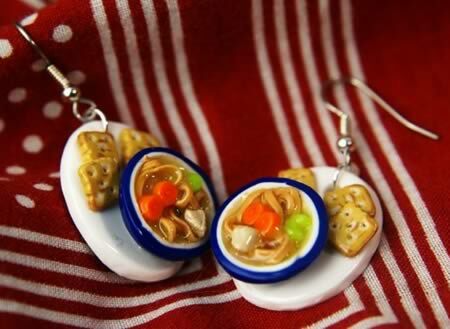 Little bitty blue & white bowls contain a hearty dose of cold remedy: noodles, bits of chicken, carrots, and celery in broth. Served on an oval plate slightly larger than a quarter, with 3 little saltine crackers. Note: These would make a great gift for your sister who has mono, your best friend who just caught the flu, or anyone who's feeling out of sorts and needs a whimsical little lift! 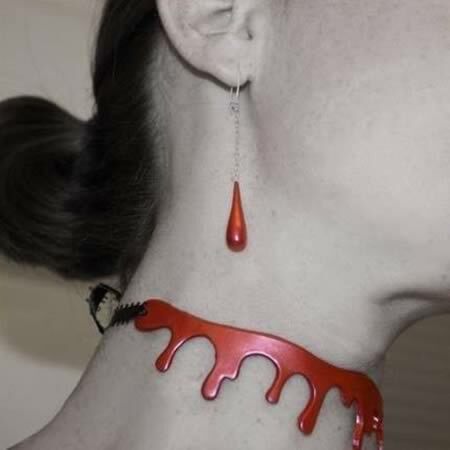 Slit throat choker with blood drop earrings, this is a combination that Edward would love. 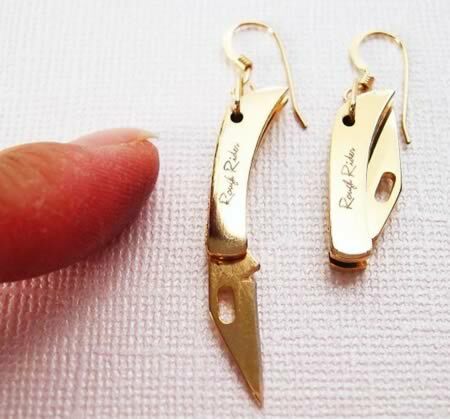 Tiny folding knife earrings: You would look “sharp” in these. 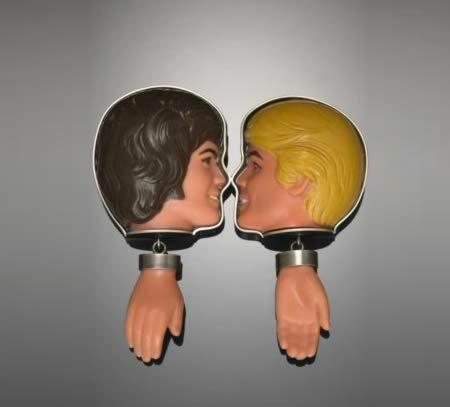 Custom designed earrings made from Ken doll heads and hands. Very unique, fun, funky, and a tiny bit creepy. 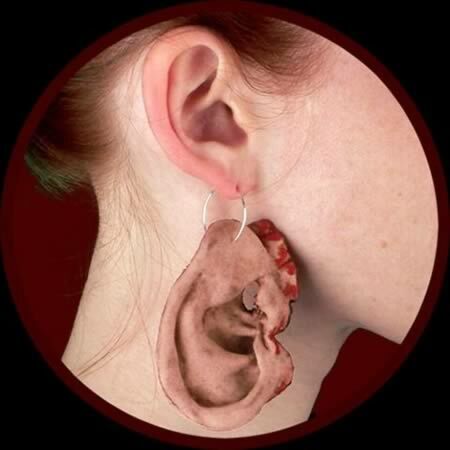 Something about wearing body parts as jewelry doesn't strike me as fashionable nor stylish; it strikes me as “Serial Killer-y” and that look is so last season. 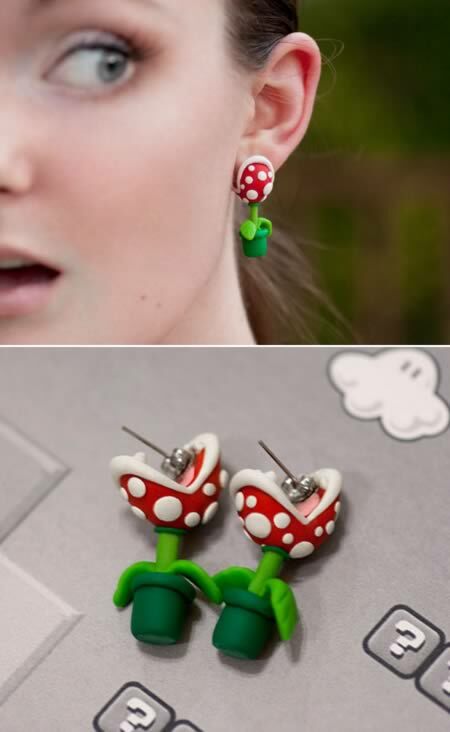 Etsy seller Elizabeth Kohn made a set of earrings that look like the piranha plants from Super Mario Bros. Ouch! Hopefully these don't spit fireballs.